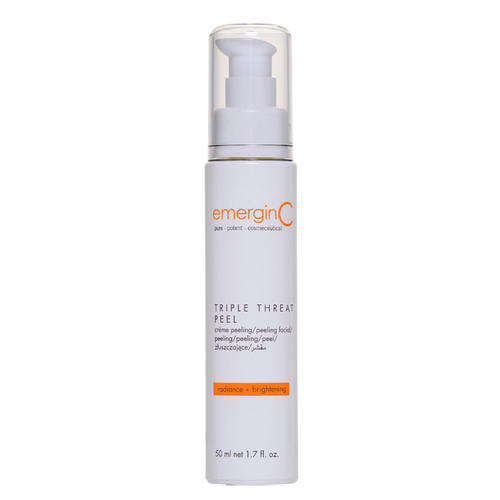 Restore your complexion with emerginC's Triple-Threat Peel. 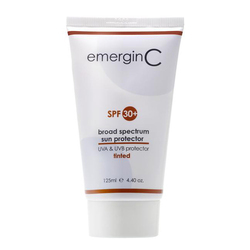 The powerful formula delivers BHA and AHA action to revitalize dull, lifeless skin. The thorough acid exfoliation combined with retinol transforms tone and texture, making thick and rough skin become smooth, supple and vibrant. * Not recommended for very sensitive skin types. full ingredients:Aqua (water), Butylene Glycol, Lactic Acid, Glycolic Acid, Sodium Ascorbyl Phosphate (Vitamin C), Citric Acid, Pinus Sylvestris (Pine) Bark Extract, Ascorbic Acid (Vitamin C), Hydroxyethylcellulose, Tartaric Acid, Ficus Carica (Fig) Fruit Extract, Malic Acid, Salicylic Acid, Menthyl PCA, Menthol, Dipropylene Glycol, Retinol (Vitamin A), Polysorbate 20, Xanthan Gum, Peg-40 Hydrogenated Castor Oil, Trideceth-9, Phenoxyethanol, Caprylyl Glycol, Sorbic Acid. Apply a thin layer, once a week, with cotton swabs or fan brush. Leave on 2-3 minutes, gradually increasing application time to 7 minutes if necessary. Remove thoroughly with cool water. Tingling and slight redness are normal. Peel may be immediately neutralized with cool water. Do not apply on broken skin. 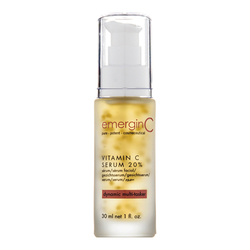 Follow with emerginC serum and/or emerginC moisturizer.